An original, unopened box of 1999 First Edition Pokémon cards has sold at auction in the US for the staggering price of $56,000. 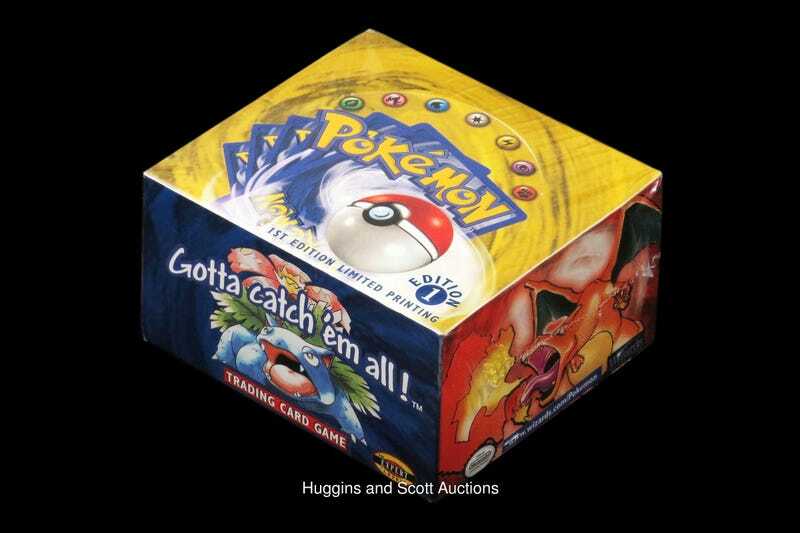 Via Kotaku AU, Huggins & Scott Auctions sold the box last week, with bidding opening at $20,000. There’s a reason for the steep price that goes beyond nostalgia: pristine Charizard holo cards can sell for almost as much on their own, as we saw last April when one sold for $55,000, so a box like this gives you a shot at not only one of those beauties, but a load of other valuable cards inside as well.